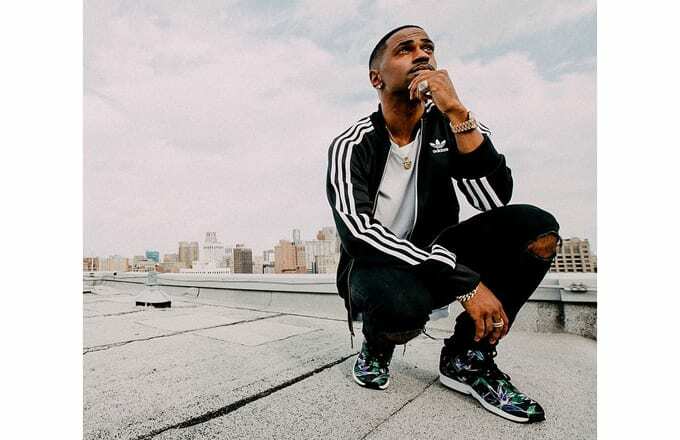 Long before there was even speculation of Kanye moving to adidas, Big Sean was working magic with their designers. That relationship has stayed strong all this time, and we’re on the cusp of their newest collaborative release. We’ve reported on his upcoming ZX Flux with jungle themed print, similar in inspiration to his Metro Attitude. It looks like the release is coming up very quickly. This afternoon adidas Originals took to their Instagram today to announce that they will reveal the full story behind the collaboration, ostensibly implying that we’ll also get full details on the release. A release that should be pretty soon. They haven’t said how or where the story will be revealed, but at the very least they’ll link it to their Instagram for sure. Stay locked for further info.